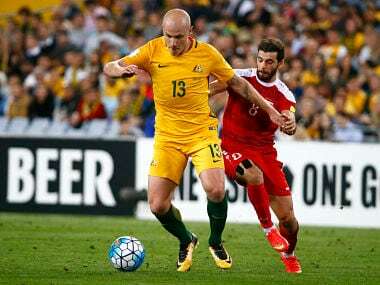 Australia are banking on pace and versatility up front to win back-to-back Asian Cups as they embark on a new era without stalwarts Tim Cahill and Mile Jedinak. 33-year-old Mark Milligan will lead the Socceroos against South Korea in a friendly in Brisbane later on Saturday before another Asian Cup warmup against Lebanon in Sydney next week. The 37-year-old Cahill, Australia’s most prolific international goalscorer, injured his ankle in A-League action for Melbourne City on Friday. 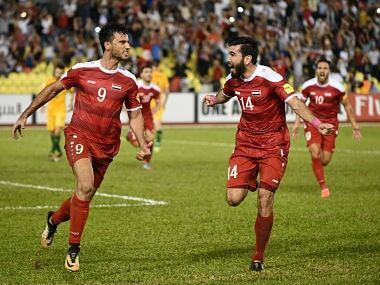 Australia were left fuming by Syria's Soma winning a spot-kick in the 85th minute, after the towering forward was nudged mid-air by Mathew Leckie. 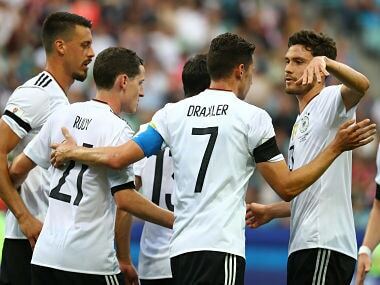 Germany take on Cameroon's Indomitable Lions at Sochi's Fisht Stadium on Sunday while Chile play Australia in Moscow in the final round of Group B games.